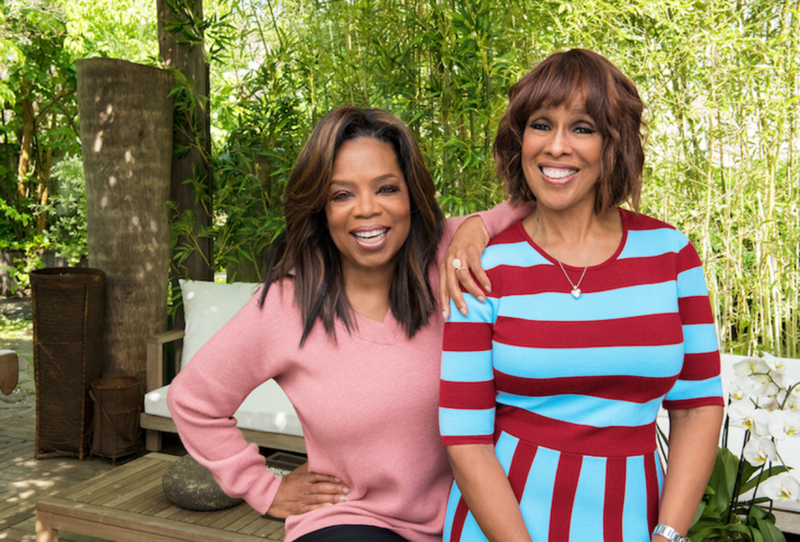 Every cruise is special in its own way, but the Girls’ Getaway cruise hosted by media icon Oprah and news personality Gayle King was one passengers on board will remember forever. Not only did Ms. Winfrey herself cruise with thousands of her fans, but also the editorial team of O, The Oprah Magazine who were on board to provide insights into health and wellness, fashion, new books and beauty tips. The cruise was also special as Oprah became the Godmother of Holland America’s newest ship Nieuw Statendam. The collaboration between one of America’s most famous media personalities and Holland America began just a couple of years ago when Holland advertised in the magazine and the two discovered a similarly held set of values. Oprah then cruised with Holland America to Alaska in July of 2017. From there, she was hooked. Collaborating with O, The Oprah Magazine, Holland expanded their onboard programming to include content focused on health, wellness and more. Naming Oprah Godmother of Nieuw Statendam was another step forward in the partnership and helped promote the cruise line’s focus on living well. Prior to the ship christening on February 2, the cruise left Port Everglades for some fun in the sun before returning to port for the big day. The first stop was Half Moon Cay, a private island operated by Holland America. While on the island, passengers (mostly women, as you can imagine) enjoyed a relaxing morning yoga session right on the beach. Throughout the trip, passengers were privileged to attend A Conversation with Oprah, a chance to hear a remarkable woman talk about what she does to make sure she’s always living her best life. Speakers also include O, The Oprah Magazine staff Leigh Haber, Adam Glassman and Brian Underwood who give their best advice for wellness, beauty and great reads! Were any of you on the cruise? Let us know in the comments below! I was on the cruise! I was a phenomenal experience! I took my 74 year old mother and we both were just overjoyed with the days we spent meeting wonderful ladies, eating delectable food, going to sponsored events, listening to the entertainment and the icing on the cake was Conversation with Oprah. It was so profound and she just opened her soul up to us. There were a lot of smiles, tears, laughs, hugs and the dancing! We partied every night and Oprah and Gayle joined in for the pajama party on the last night. And I must say Holland America is at the top of my cruise list now! My first time on the line and it was exceptional! The new ship the Nieuw Statendam was exquisite! The theme of music prevailed throughout the ship from the floors named for musical geniuses like Mozart and Beethoven to walls with artwork to stand alone pieces and venues like BB Kings Blues Club, Rolling Stone Rock Room and the amazing World Stage. The staff and crew of the ship made sure we had a grand time. Oprah and Gayle were so gracious taking pictures and greeting so many of us on board. It was a once in a lifetime and I am glad I saw that announcement the day it went on sale. It was nothing but love and light from women of all walks of life supporting, encouraging, complimenting and having fun with each other. I can’t wait for the next one! This was a once in a lifetime trip. The powerful talk from Oprah was worth the trip alone. However, there were so many wonderful women on board, all kind and reaffirming of the sisterhood that exists amongst women no matter what part of the country they live in. The entertainment was superb; be it the Lincoln stage performers, the comedian or the world class band in the B.B. King Club. The O team and Holland team made sure everyone e felt welcomed and appreciated. The ship was beatitiful with many special appointments and the Tamrind restaurant cuisines was off the charts. I think this is a model that Holland should push forward where girlfriends are inviting to come and participate in powerful life changing seminars. Where do I begin? The Girls’ Getaway cruise with Oprah on Holland America Line was simply O-Mazing. 2,600 women and I’m told 54 men onboard. From the moment I boarded the cruise there was “nothing but LOVE.” A group of amazing women on one ship sharing positivity, encouragement, validation, support, friendship and so much more! Oprah was so O-Mazing! Her genuineness to share her life with us. The moments that made her cry! The moments that gave her validation to keep moving forward! And even the moment of her underwear drying on the balcony and flying out into the streets of Paris because she refused to pay hotel laundry prices 🙂 As we listened, we hung on to every word. As she took us through her journey of capturing the role of Ms. Sophia in the Color Purple, we sat and we recited lines from the movie. We laughed as she told the story of Gayle celebrating her accomplishment of making $22,000 a year (in TV) when she was 22 years old. And Gayle, going on to tell her momma that Oprah bought “TWO sweaters” at Casual Corner, yes Ms. Oprah was moving up in life. Little did they know then, that BIGGER blessings were to come. Who would have thought that a little girl raised in a small Mississippi town would become a world icon? Who would have thought that the little girl, who was once told to sleep on the porch because she was not allowed inside the house to sleep because of the color of her skin….would one day be a world ICON, a world inspiration? For every story she told, we hung onto every word and somehow our own lives unfolded before us…allowing our eyes to open to see the POSSIBILITIES of what GOD has for us…if only we believe. 2,600 women disembarked the Nieuw Statendam with the affirmation that we are “ENOUGH”. Believing the lines in the poem Invictus, “I am the master of my fate. I am the captain of my soul”. And most importantly, reminded to wake up every morning and tell God (the Universe), “thank you”. Always have a spirit of gratitude. Let me start by saying I hate cruises! I have cruised Carnival, RC, and Disney and I have never met a cruise I just fell in love with, until NOW. Everything about this cruise was Amazing! I left full of energy, empowered to live my best life! Never would I have imagined I would gain this from a cruise! And Oprah, Gayle and the O magazine staff and guests made everyone feel like part of the family. We were enveloped in love and the positivity exploded everywhere and from everyone! The tears, laughter and overwhelming joy I experienced on this cruise were worth every penny! Kudos on a fabulous cruise!!! Ditto to everything mentioned above, plus the thoughtfulness of the pillow gifts was such an unexpected special surprise. It was evident a lot of thought went into each of them. The positive girl power of this trip was like none other. Such wonderful memories. Thank you Oprah and Gayle! Love you bunches!